Zimbabwe's civil society is vigorously opposing the candidature of Zimbabwe's president of the Chiefs Council, Fortune Charumbira, for the presidency of the Pan African Parliament (PAP). This comes after Charumbira won the Sadc Pan African Parliament (PAP) caucus vote. He is now officially the nominee for the election of the next president of PAP due to take place today. He defeated a competitor from Botswana. He will face the incumbent president of PAP, Roger Nkodo Dang. "Our position against Charumbira's candidature is not in any way personal but re-emphasises our commitment to the rule of law and democracy," Tabani Moyo, spokesperson of the influential Crisis in Zimbabwe Coalition (CiZC), a coordinating body for civic society organisations in Zimbabwe said. "The PAP, among its founding values, seeks to cultivate human rights, good governance, transparency and accountability in member States and CiZC would like to reiterate that the culture of respect for human rights and the Constitution will be at stake if a person implicated in disregard of the very same virtues is to assume top leadership of the institution." This comes as Charumbira was yesterday ordered by High Court judge Justice Clement Phiri to publicly retract his statements stating that traditional leaders will support Zanu PF in the upcoming elections. The Local Government ministry was also ordered to take disciplinary action against the wayward chief. The CiZC spokesperson said "Charumbira stands accused of violating the Constitution of Zimbabwe by openly declaring on numerous occasions, his allegiance to the ruling party, Zanu PF in direct violation of Section 281 (2) of the Zimbabwean Constitution which stipulates that traditional leaders must not participate in partisan politics or further the interests of any political party or cause." "Despite numerous outcries from pro-democracy groups, Charumbira has gone further to mobilise chiefs around the country to support Zanu PF and those that defy his order are often victimised in one way or the other," Moyo said. "His continued violation of the country's Constitution — ....stands as one of the major obstacles to credible elections in Zimbabwe and entrusting him with the leadership of the PAP would set a bad precedence." Chiefs aligned to the ruling party have been among the instigators of violence in Zimbabwe, especially during election times and Charumbira's actions make him complicit in the persecution of opposition activists in the countryside, Moyo said. "In doing so, he is therefore implicated in the trail of violence, abuses and heinous acts that characterised successive elections that kept the ruling party in power," he said. 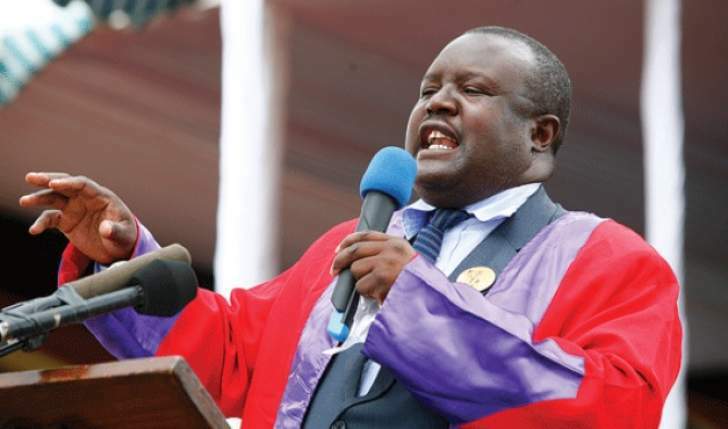 "CiZC would like to draw the attention of the PAP membership to the fact that Charumbira has a pending court case, where he stands accused of violating the Constitution. "This makes him a high reputational risk for the organisation," he said. Moyo said CiZC's firm position is that Charumbira cannot be entrusted with upholding PAP principles which he himself has failed to uphold in his homeland. "It is from this vintage point of view that CiZC wishes to call upon all democracy-loving and law abiding people of Africa...to realise that the election bid of Charumbira is a danger to the principles and values of the PAP and stand ready to defend the strategic institution from capture by elements who are bent on destroying progressive institutions for selfish ends. "CiZC therefore calls for unity of purpose in defending the integrity and reputation of the esteemed institution. In our view, the values and principles of constitutionalism and rule of law are on test," Moyo said. The Parliament has 255 members representing the 55 African Union member States that have ratified the Protocol that established it.